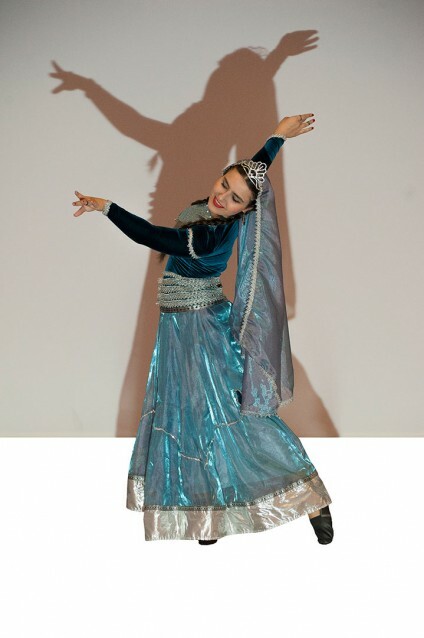 Visions’ Ayan Sadigova writes about her childhood dream to become a dancer and introduces readers to Azerbaijani national dances. A memory takes me back 16 years. It concerns the story of a little three-year-old girl… a three-year-old girl that knew nothing about life, science, history, and had only one dream - to dance. When watching every concert and seeing the children that were older than her dancing on television, she would take a chair, drag it closer to the TV set and sit on it backwards rather than in the usual manner, hanging her legs from both sides, leaning against the back, resting her chin on her hands and crying until the end of the concert. This happened many times, not just once. The only reason for this crying was her wish to dance like those girls on television. She hoped that one day her dream would come true. Were her parents pushing her? No! This desire came from a feeling deep within her heart. At three years old she knew what she wanted and was persistent in realising her dream. One day, when the same thing happened again, her parents noticed her crying for hours while watching a concert and were both surprised and pleased. The girl’s birthday was coming. She was turning three in a few days. There was no need for her parents to think about the present. The best present for her would be to attend dance classes, so a few days after her birthday, her parents took her to the Baku School of Choreography. There she joined the Sayyah children’s dance ensemble under its artistic director Tarana Muradova. The little girl made her first steps towards making all her dreams come true. She began learning the secrets of dance step by step. Sometimes, when it was difficult to perform the moves demonstrated by her teacher, she would cry but she never gave up. When she failed, she would practise over and over again until she mastered the correct movements. She worked relentlessly for nine years and during that time she danced in multiple concerts and performances. One day the Sayyah children’s dance ensemble organised a grand concert of Azerbaijani national dances. The girl was already a soloist in nine of the ten dances performed as a collective and on that day she felt as though the world belonged to her and that finally her dream was coming true. Her determination, love of dancing and strong will allowed her to achieve great success over those nine years. Hope is 90 per cent of the work. This little girl at her young age hoped that one day she would go to dance classes and she achieved this. People say that if you want something enough it will happen one day, but I think it isn’t enough to simply wish - you should also fight to get what you want. It’s impossible to achieve success if your wishes just remain as empty words. It was me, that three-year-old girl who cried constantly while watching the children dancing 16 years ago. Despite my strong desire to be a dancer at the time, fate opened a different door for me. As I walked through that open door, I came across a very different outlook and it is under the impression of this new outlook that I am now writing these words. My parents always told me that if you want to learn something, you should learn it fully. And I did what they said. I was interested in the history of our national dances, so I began to research and study them deeply. There are many important elements which characterise every nation and guide it into the future. Among those are our dances, with their rich and ancient history and long considered a treasure of Azerbaijani art. Each nation has its own unique national dances: Turkey is known for the zeybek, halay and horon, Britain for English country dancing, Germany for the polka and the waltz, France for the can-can, bal-musette and bourrée, Argentina for the tango and pericón, Brazil for samba, Greece for syrtos and syrtaki, Italy for the tarantella, Morocco for Gnawa dances, Norway for the halling and Portugal for the vira. 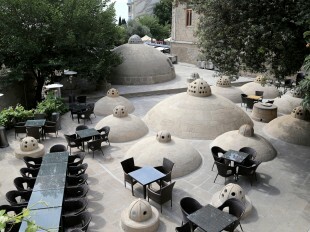 Azerbaijan is also known for its beautiful dances, such as vagzali, uzundere, naz eleme, mirzayi, nalbeki and many others. But do you know when and how our national dances - which lift our spirits and briefly transport us into the past and to the most magical moments in our life - first appeared? As in many progressive countries dancing in Azerbaijan also developed much earlier than primitive musical instruments when people danced to the rhythm of clapping. The dance scenes depicted at the Qobustan petroglyphs are the best examples of this and suggest that the first dances related to rituals and hunting. Azerbaijani folk dances are also based on diverse themes: ceremonial, labour, household, military and heroic, sports and others. Ceremonial dances related to weddings, celebrations and festivals, labour dances to harvesting fields, and military and heroic dances to the legacy of national heroes. Among the holiday dances are novruzu, kosa-kosa and khidir ilyas (relating to the Novruz festival), the araba and jutju relate to labour, military heroic dances include the misri (the sword of the Azerbaijani national hero Koroghlu), Koroghlu doshmasi and Koroghlu chagirishi, the gochali is a dance specific to the Absheron region and the beshatilan is one of the famous dances of Karabakh. 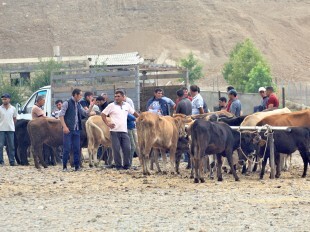 These dances have features unique to Azerbaijan and distinguish them from those of other nations, in the way that they reflect the country’s history, culture and domestic life. None of the dances are performed without a reason; there is always an idea that needs to be communicated to the audience through the dance. Like the films that we watch on television every day, dances are also structured according to a certain scenario and it is hard not to enjoy them. As a rule, our dances consist of three parts: the first involves dynamic dancing in a circle, the second is lyrical (i.e. the dancer doesn’t move their body) and the third is characterized again by speedy moves around a circle. Azerbaijani dances may be heavy, slow, light or cheerful and quick in rhythm. The slow ‘heavy’ dances include the mirzayi, turaji and uzundere, light and cheerful dances include the brilliant, jeyrani and terekeme, quick dances are the gaytagi, khanchobani, lezginka and others. Besides, male and female dances differ sharply from each other. While in the female dances with the upper half of the body, mainly arms and hands, shoulders, head and facial expression are most important, in male dances the quick and uninterrupted movement of the legs and feet, often kneeling and standing, are considered the main features. The moves of women dancers should be so subtle and smooth in sequence as to deceive viewers from the very first moment of the dance. When a female dancer performs she is often compared to a bird soaring through the air or a swan floating on the water. In this respect the Azerbaijani folk dancer Amina Dilbazi was exceptional and her performances of the innabi, terekeme, vagzali, turaci and naz eleme dances are particularly famous. The repertoire of Afag Malikova, along with our national dances, also included dances from other Eastern nations. But the leading dancer of our times might be considered the choreographer and ballet master Roza Jalilova who performed dances such as the agh chichek, lala, banovsha and gara goz - wonderful examples of Azerbaijani art. People’s Artist of Azerbaijan Tarana Muradova also performed the naz eleme, dance with gaval, vagzali, and mirzayi, while filmed performances by male dancers like Kamil Dadashov, Boyukagha Mammadov and Boyukagha Atababayev are popular with contemporary audiences. But I return to my thoughts expressed in the first sentences of the article – the wish of a three-year-old girl to become a dancer. 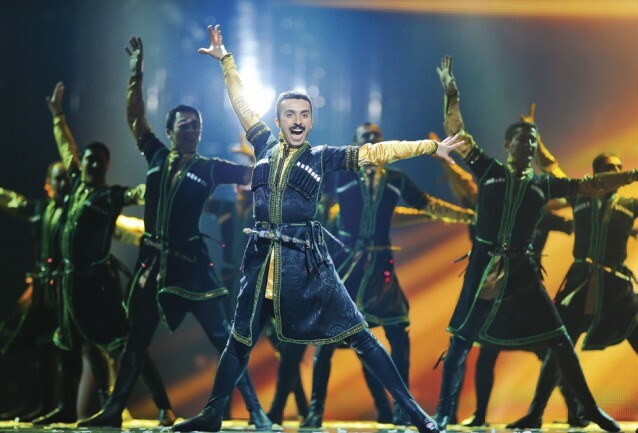 Performing the national dances of Azerbaijan and keeping them alive is not an easy task. It requires dedicating your life to this - you need to know the meaning of the dance, to feel its rhythm, to keep it alive in your heart and blood and deliver it to the audience by bringing it to life. I managed this partially, but the dancers who I have mentioned, as well as others I have not, have devoted their lives to this art and helped keep the national dances of Azerbaijan in motion today. About the author: Ayan Sadigova is a young writer professionally trained in Azerbaijani national dance.